BIG NEWS- SHOP STYLE THERAPY ON PINTEREST! Shopping from your smartphone or tablet just got loads easier (I bet you didn't think it could)! 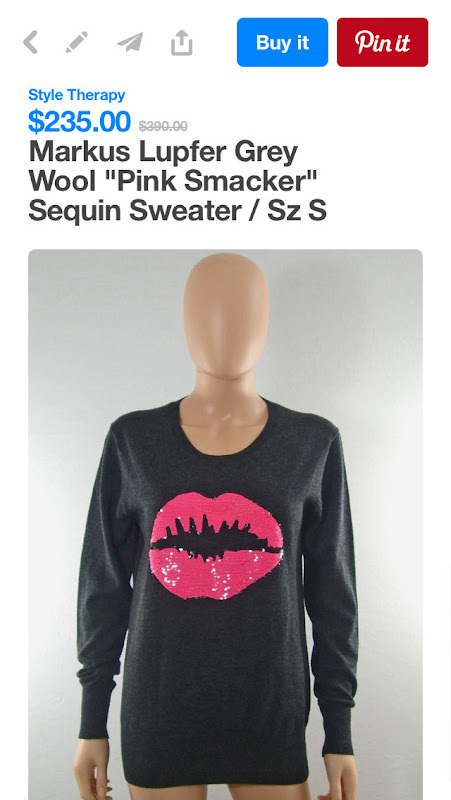 Pinterest's "buyable" pins mean that you can buy designer fashion like this Markus Lupfer sweater in a snap. See something you like? Tap the pin to view. If you see the blue "Buy It" button, then it's available for purchase. Simple, huh? Many items from the Style Therapy consignment collection are live now on Pinterest with lots more coming. Check back often for unique designer finds!